If you want to build an eco-friendly home in the Northern Territory, knowing the different types of sustainable materials available is a good place to start. Manmade materials tend to have an adverse effect on the environment, which is why more homeowners are making a concerted effort to build properties that last without relying on products that are harmful to plants, people, or animals. Straw bales are one of the most enduring building materials and for good reason. 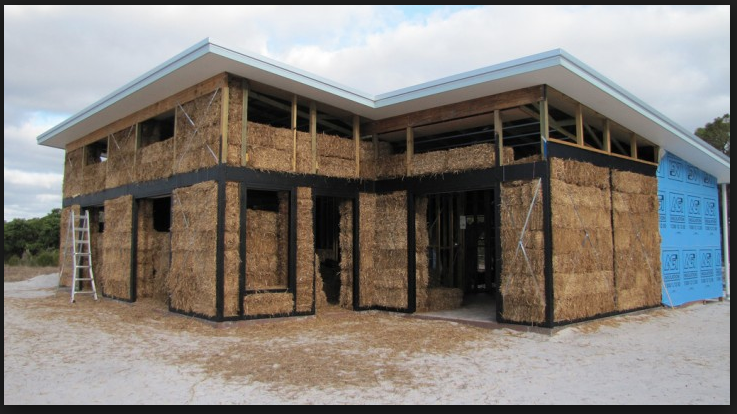 You have probably seen homes built entirely from straw bales, proving that even the most seemingly weak material can be used in supporting structures. Framed straw bales are a popular choice with eco-builders, given that the material provides excellent insulation and promotes healthy airflow. Grasscrete is an ideal replacement for traditional surface materials such as paving slabs. The blocks allow for efficient drainage, which is ideal for homeowners building on difficult sites where access to sewage systems presents design challenges. A strong and durable surface material, grasscrete can be used for pathways and can easily support the weight of cars and other vehicles in carports or garages. There are so many variations of eco-friendly wood materials in the market place that it would be difficult to list them all. However, the ability for sustainable production and the properties that each material offers are good indicators when deciding which wood products are best suited for construction. Although timber is considered the traditional building material, it is still regarded as one of the most sustainable products on the market. Alternatively, bamboo is an incredibly fast growing plant that absorbs carbon, making it a popular choice in modern home design or you may want to consider using hempcrete in the construction of your home. This material is renewable and provides high-grade insulation, as well as providing protection against fire and termite infestation. One of the greatest challenges that environmentalists face is the amount of plastic that is discarded every day. Recycling plastic for use as a building material is helping address the problem. However, there is still much debate as to which types of recycled plastic are beneficial in the long run. A truly sustainable product is one that can be repurposed again and again. Although composite plastic materials are often long lasting, the mixture of different materials means that recycling is not possible in most cases. It should be noted that the industry is slowly moving away from petrochemical-based products, which means there are plastic building materials becoming available that are actually beneficial to the environment. When choosing building materials for your home it is also important to consider the impact of VOCs on human health and the environment. Many materials, such as paint and cleaning materials contain VOCs that can become toxic upon evaporating in the air. You cannot see the toxic substances produced but they couldl have an impact on the health of your family and pets. The Department of Environment and Energy provides a useful guide on the effects on VOCs. Houspect provides detailed building inspection reports to Northern Territory homeowners. If you are building an eco friendly home, reach out to Houspect to discuss construction stage inspections for your project. Contact Houspect on 1300 258 789.